Many women have little to no understanding of the changes their body goes through leading up to their period. 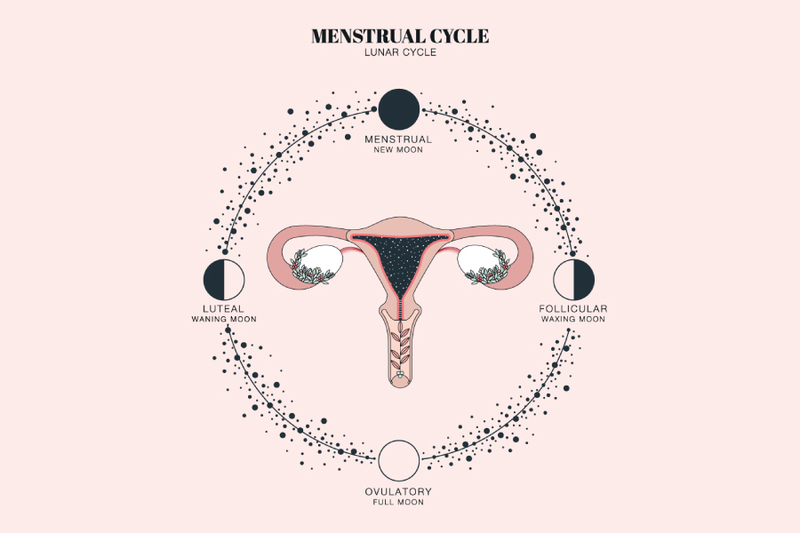 This is really no surprise, as women aren’t typically taught about the menstrual cycle, other than: you have a monthly period and this means you are not pregnant. But the menstrual cycle really is a beautiful thing, and it can offer a lot of important information about your overall health status. My mission is to empower women to take control of their hormonal health, and this starts by educating women about the details of their cycle. As a Naturopathic Doctor, I am fortunate to have the time to educate my patients on the amazing rhythms of their body. 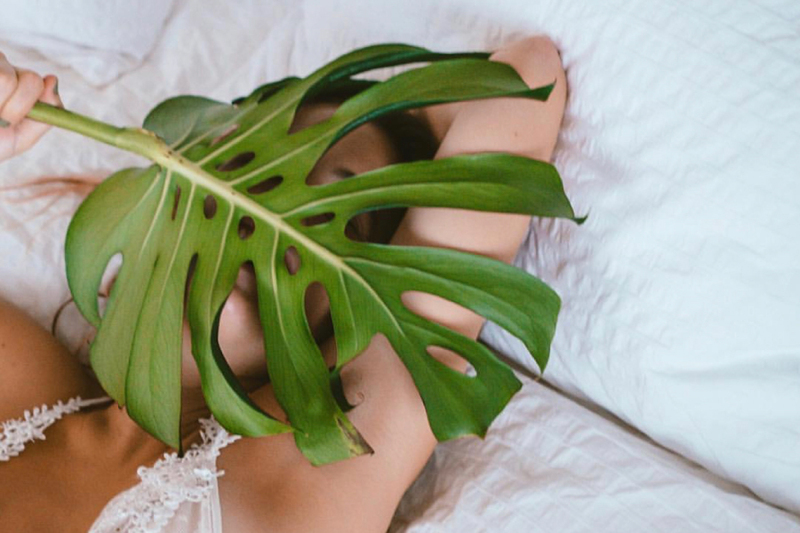 So, whether you welcome your monthly period or you completely dread it, having a better understanding of your cycle allows you to take back control. The reason women haven a cycle is to support a pregnancy, and our body gives us one shot at this each month(-ish). The menstrual cycle is the entire cycle, starting from the first day of your period until your next period. Many women believe the period signifies the end of a cycle, when really this is the beginning. The changes that occur throughout the cycle are under the control of hormones released from the brain and the ovaries. These hormones fluctuate, and for this reason, the menstrual cycle can be divided into 2 phases: the follicular phase and the luteal phase. The follicular phase begins on the first day of the period, cycle day 1, and ends with ovulation, or the release of an egg. As the name states, the purpose of this phase is follicular development – to grow an egg that will be ovulated. Early on in this phase the main female hormones, estrogen and progesterone, are at their lowest levels, while follicle-stimulating hormone (FSH) is elevated. As a follicle grows in the ovaries, it starts to produce estrogen, and estrogen levels quickly rise. The role of estrogen is to initiate the thickening of the lining of the uterus, to prepare for implantation in the second half of the cycle. Furthermore, estrogen signals ovulation. Once estrogen becomes super high, the brain produces a hormone called luteinizing hormone (LH). Once it reaches its peak, known as the LH surge, it causes the release of an egg within about 10-12 hours. Right before ovulation, the cervix, the entrance to the uterus, starts to produce a specific type of fluid. This fluid is clear and stretchy, and is an indicator of impending ovulation. This is a critical sign to take note of when you are trying to get pregnant, or if you want to avoid pregnancy. Stay tuned for an article about tracking the menstrual cycle and how to determine your fertile window. Once ovulation has occurred, the luteal phase begins. 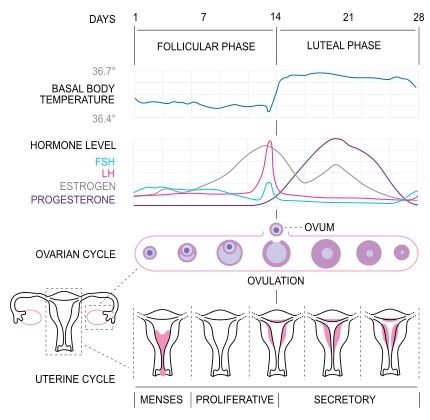 The day of ovulation is variable from person to person, and in some women, from cycle to cycle, so the exact number of days of the follicular phase can be challenging to pinpoint. However, in most women, the luteal phase is usually 14 days. The purpose of this phase of the cycle is to prepare the uterine lining for a potential future pregnancy. The follicle that released the egg at ovulation becomes a structure called the corpus luteum, which is responsible for producing progesterone. Thus, the predominant hormone in this phase of the cycle is progesterone, but estrogen will also rise again in this phase. The hormonal changes cause the lining of the uterus to continue to thicken and secrete nutrients to support implantation. All women are unique and there can be slight variations in the menstrual cycle. But, there can be significant variations which may need to be assessed. Most women experience cycle lengths of 25-30 days. Although we typically talk about a 28-day cycle, anywhere from 21-35 days is considered normal. The typical volume of blood lost during menstruation is approximately 30 mL. More than 80mL is considered abnormal. A good way to measure this is by using a menstrual cup – hang tight for an article all about using menstrual cups! Prostaglandins are released with each period causing cramps and loose stool. If these cramps are anything but mild, it could signify a hormonal imbalance. Periods can fluctuate for the first few years, but with time they should be generally around the same number of days and the same volume of blood loss with each cycle. Things like stress, over-exercising, diets or medication use may cause temporary changes in the hormone levels affecting the regularity of your cycle. So, as you now understand, female hormones are quite dynamic and there are many changes that occur throughout a cycle. Although there is a purpose behind the fluctuations, these changes in hormones are also responsible for many of the common symptoms that women experience on a monthly basis. Although these symptoms may be common, it doesn’t mean they are normal. If you’ve been dealing with discomfort, irregular cycles or no cycles at all, it may be time to see a healthcare professional. If you are going to live with a monthly cycle, you might as well make it the most pleasant it can be!